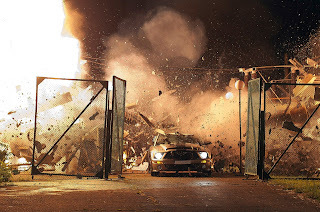 For those waiting patiently over the last several months to put in their order for a 2015 Mustang, the time has now come. 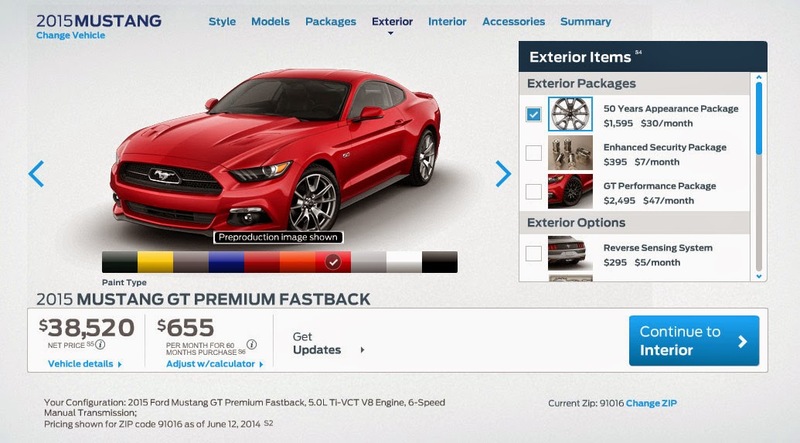 As of 12:01am EST Ford opened the order banks for the 2015 Mustang, allowing dealers to officially submit orders. Customers can pick from all three engine options – V6, turbocharged inline-4 and V8 as well between a 6-speed manual and 6-speed automatic transmission with paddle shifters. Ford also made another big announcement today, revealing that the base V6 model will start at $24,425 including destination and delivery. That’s a substantial increase compared to the 2014 model, which came with an overall starting price of $23,335. Unfortunately pricing for the EcoBoost and GT models is still unknown, but it should come relatively shortly, but expect the GT to start around $33,000 and the EcoBoost to slot in between – perhaps around $28,000 or $29,000. This entry was written by by Drew Phillips (Mustangs Daily) and posted here on Monday, May 19th, 2014 at 10:25 pm and is filed under 2015 ford mustang, 2015 mustang, 2015 mustang pricing, News. This article was not written by us, rather gathered using RSS feeds listed here. We take no credit for this article. You can leave a response, or trackback from your own site.